Here are the questions we’re asked on a frequent basis. If we’ve missed anything out, please let us know. Functional medicine practitioners view the body as one main system made from other, smaller interconnected systems. We believe that symptoms result from dis-ease or dis-order in these systems. Because each system is connected to the other, a problem in one area of the body may be triggered by something elsewhere in the body. 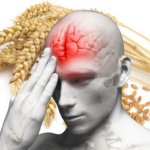 For example an H. pylori infection in the stomach, or an allergic response to a food in the intestine, may trigger a migraine headache. Finding relevant imbalances in your body and helping you correct them may resolve symptoms and even some chronic diseases (see case histories on this website for examples). We also believe that symptoms can arise from mechanical problems in your body, or mental and emotional stress. As such we believe in having a team of clinicians in a referral network, each with a variety of skills, to ensure you achieve the optimal outcome. These clinicians include osteopaths, dentists and stress counselors. No, only a physician can diagnose a disease or disorder. Our job is to uncover imbalances in your physiology and metabolism that may be leading to, or have led to, the symptoms that are bothering you. We may spot imbalances in your functional test results that warrant referral to a doctor. For example, if your iron level is high or low in a blood or hair test, we can refer you for additional anaemia or haemochromatosis testing with your doctor. Do you treat symptoms and disease? No, we strictly work on uncovering physiologic and metabolic imbalances. We then work with you to bring your metabolism back in to balance. During this process, our goal is to help you resolve the symptoms you may be experiencing by addressing the underlying imbalances causing them. We work closely with your physician or specialist to make sure you get the best possible care from both conventional and alternative medicine. 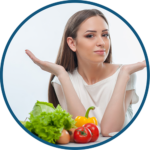 Nutrigenomics is the study of how nutrition and nutrients influence the expression of your genes. We each have a unique genetic make up that constantly interacts with our environment. It’s the interaction of our genes with the environment that creates health or dis-ease, wellness or illness, function or dysfunction. By assessing your genome and looking at specific genes associated with symptoms and illness, we can design a laser-focused protocol that gives your body the nutrients it needs. In so doing, we may help reduce your risk of developing health challenges in the future. For example, I have certain genes that predispose me to iron overload (haemachromatosis) and my blood markers (serum iron, TIBC and transferrin saturation are all high). My Mum’s side of the family has rheumatoid arthritis, which is a common symptom of iron overload. By testing my genetics and blood chemistry, I am able to control this potential problem through diet and lifestyle, and to check on it periodically to make sure it is not developing into something more problematic. How can I book a consultation? You can book a case review and consultation here, or by contacting us by phone or email. There are three entry points: 1) a case review and consultation without any labwork, 2) a case review and consultation with comprehensive digestive screen and 3) a case review and consultation with functional blood chemistry analysis. We’d love to help, so please don’t hesitate to get in touch, or click here to learn which entry point is right for you. 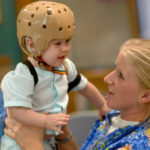 What does a comprehensive case review & consultation involve? We ask you to complete two questionnaires to see what symptoms you have, which areas of your body are priorities, and to gain an understanding of your family history and health or performance goals. We also ask you to complete a food diary so we can see whether your diet may be influencing the way you feel. After analyzing these, we run a 60min consultation to discuss the best way for you to move forward in terms of lab testing and nutrition/lifestyle modifications. If you would like us to analyse previous lab tests – blood chemistry, hormone tests, stool tests, and so on – we can include that in your case review. There are three different options for a case review and consultation, which you can choose from here. Can you work with people outside the UK? Yes we can. Laboratory testing is available in most countries, and we are able to consult via phone or Skype. We currently work with clients in more than 15 countries, including Australia, the U.S., Canada, Europe, South Africa, New Zealand and the Middle East. Returning lab tests from overseas is the only challenge, and it’s usually easy to negotiate using a carrier such as FedEx, UPS, TNT or DHL. Additional shipping fees may apply but that is the only difference to the programmes and fee structure. 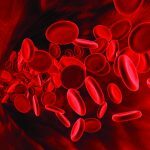 What is a functional blood chemistry analysis? A functional blood chemistry analysis is much more detailed way to assess standard blood testing done in the medical system. Typically a doctor will run a complete blood count (CBC) and blood chemistry / metabolic panel as a check-up. Unfortunately most people have ‘normal’ results even though they feel really under the weather. There are many problems with the way these tests are interpreted in the medical setting, and it’s our goal to help you overcome these challenges. By narrowing the reference ranges we’re able to spot subtle changes in your blood count and chemistry that provide key information as to why you’re not feeling well. For example, on my last blood test, I only had 4 out of 46 markers out of the normal range, but when I ran my numbers through Michael McEvoy’s functional blood chemistry analysis tool, no less than twelve of the markers were out of balance. I knew this was clinically significant because I’d just started to notice myself feeling a little lower on energy and unable to focus on my workload. Furthermore, my functional blood chemistry result correlated with other tests I did, and with my genetic ‘weaknesses’. What genetic testing can you do? We are currently exploring other options for comprehensive genetic testing to remove any discomfort about the insurance issue. It is very important to understand that we do not ‘treat’ gene mutations. We simply support mutations using detoxification and anti-inflammatory strategies, along with specific nutritional interventions to bypass your mutations and restore metabolic efficiency. This work is incredibly effective. What nutritional testing do you do? A functional blood chemistry analysis can provide excellent information regarding your nutritional status, especially in terms of nutrients such as zinc, iron, magnesium, sodium, potassium, and vitamins B6, B9 (folate) and B12. 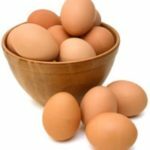 We also use kryptopyrrole, amino acid and organic acids testing (simple home urine tests), hair tests and zinc/copper ratio tests to identify key nutritional imbalances. Only the zinc/copper ratio test requires a blood draw – the rest can be done at home. 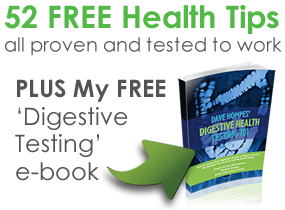 What digestive health testing can you do? Your digestive system is often the key to optimizing your wellness you’re your gut is imbalanced, for many reasons it’s really hard to improve your metabolism and overcome your symptoms / optimize performance. Parasites, H. pylori, Candida, SIBO, dysbiosis, low stomach acid, poor liver, gallbladder and pancreas function, inflammation, gluten sensitivity and an imbalanced immune system can all jeopardize your progress. We use advanced stool testing, urine testing and breath tests to assess these features of your digestive system. All these tests can be done at home. Your doctor can also perform more invasive diagnostic testing such as endoscopies, colonoscopies and scans, which may be needed from time-to-time. What heavy metal tests can you run? It is not easy to accurately check for heavy metal burden. Initial screening via accurate symptom, health history, family history, diet and lifestyle provides clues about heavy metal exposure and possibly toxicity. Urine tests, hair tests and blood tests can be used to assess approximate heavy metal burden. We prefer to use testing developed by Dr. Christopher Shade at Quicksilver Labs, which helps identify blood mercury levels, as well as hair and urine levels. These test tell us which form of mercury is in your body, and whether you are able to excrete it effectively. We can then tie your results in to your nutritional status and genetics to determine whether heavy metals are likely causing problems. We also use urinary porphyrins testing to check for the possible toxic effects of heavy metals. We do not use DMSA challenge testing as this is potentially problematic and provides misleading results. Furthermore, DMSA challenge testing may stress the kidney and liver, leading to symptom exacerbation. What hormone tests can you do? We’re able to run tests to check adrenal hormones, thyroid function and metabolism and reproductive hormone levels. Adrenal and reproductive hormones can be assessed in saliva and/or urine. Saliva enables you to assess your your daily cortisol rhythm and a month long test helps map out oestrogen, progesterone and testosterone (and other hormones) across your menstrual cycle. Thyroid hormones can be checked using a finger prick blood test at home. If we feel a full blood hormone test is necessary we will refer you to the appropriate lab. Are there any other tests? Sometimes we recommend very specific tests to check for blocks in certain metabolic pathways. These include histamine, sulphation and methylation tests. You may or may not require a blood draw, depending on the test that is required. Do I need all these tests? Most certainly not – most people only need 3-4 tests, and some don’t need any testing whatsoever. It all depends on your individual symptoms, history and goals. That’s why we run such a detailed case review and initial consultation process – to make sure we guide you along the most efficient and cost-effective path. How does the ongoing support process work? We pride ourselves in taking great care in providing detailed ongoing support as opposed to holding consultations every 1-2 months as many practitioners do. We aim to help you achieve exceptional results in the fastest (but most realistic) timescale by addressing questions and troubleshooting on an ongoing basis. Ongoing email and consulting support is available for the entire duration of your programme. At the current time, and specifically for our U.S. clients, we do not work with health insurance companies. Certain lab tests may be covered by your policy and we can provide insurance codes for these, so please liaise with your provider. Towergate Insurance provides a comprehensive policy for Health For The People Ltd. Public liability and professional indemnity are both covered to a value of £5million on a rolling annual policy. Further answers specific to questions about the case review and consultation process, lab testing and ongoing support are available on the “Book A Consultation” pages, which you can read by clicking here. Please don’t hesitate to contact us if we’ve missed anything! third parties. We dislike spam as much as you do. Feeling better at 66 than at 40! With a medical background I could not understand why my health issues had been deteriorating so much – abdominal bloating, digestive disorders, weight gain, low energy, sleep problems and aching muscles and joints. But I am now able to sleep naturally for the first time in 7-8 years! My energy levels are very good and my aching joints have subsided. My abdominal bloating is drastically reduced and family & friends have all noted how much better I look. I am now in my late 70’s but feel much younger and able at last to enjoy a more energetic lifestyle! “I started working with Jack to alleviate some constant bladder symptoms I was having. During the 3 months we worked together I gained so much more than relief to my bladder. I learnt how to look after myself to a higher standard and maintain life with full vitality. We worked together and Jack became almost a life coach in that he guided the tweaks to nutrition, how to improve energy levels, sleeping habits and just support in making the right decisions for my health. As a Pilates Instructor setting up a new business this not only improved my personal life, but my work life as well. The knowledge and skills I picked up in the 3 months I was working with Jack are now in my ‘tool box’ for life! Are salads and green juices actually bad for you? The information contained herein is for educational and informational purposes only and should NOT be used as a substitute for the advice of a health care provider. None of the products offered herein are intended to diagnose, treat, cure or prevent any disease. If you are pregnant nursing, taking medication, or have a medical condition, consult your physician before using any of the products offered herein.